Here at Gajitz, we’ve been burned by the promise of working hoverboards before. We get all excited about someone’s new invention that promises to let us zoom around like Marty McFly, only to be crushed when the “innovation” turns out to be bogus. 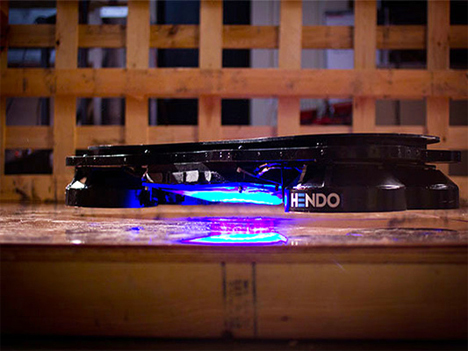 That’s why we were ultra-skeptical when everyone started buzzing about the Hendo Hoverboard. But initial reports of test drives are rolling in, and surprisingly they seem to indicate that this thing actually works. But there is, as always, a catch: it can only hover above certain metallic surfaces, so to ride it in its current iteration you’ll need a specially-constructed hoverboard park. It works with technology based on electromagnetics and currently can hover only an inch above the ground. So far it doesn’t sound too exciting, right? Watch the video above and you might change your mind. It’s not like other “revolutionary” hoverboards that can float an inch or two above the ground but can’t support any weight. It can actually carry a rider and move around somewhat like a skateboard. It can’t go as fast as a skateboard or do the same tricks, but it’s early days in product development and it seems likely that the Hendo will only get better from here. 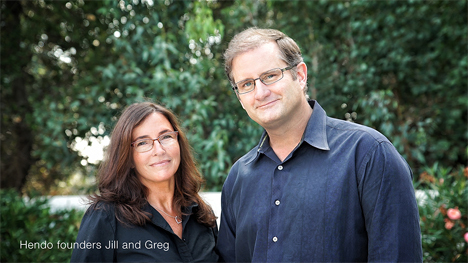 Jill and Greg Henderson, the founders of Hendo, are confident that the technology will continue to evolve to the point that the board will no longer need a metal surface to work. They predict it will be able to move over regular solid ground and maybe even water (take THAT, hoverboards in Back to the Future Part II!). 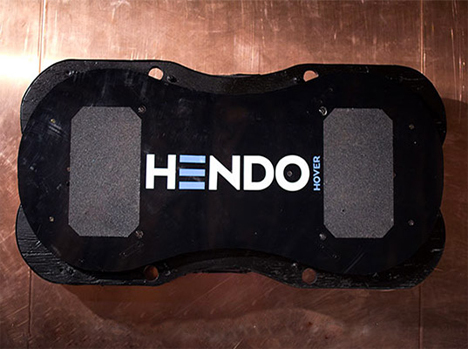 The Hendo is, at this point, a proof of concept and not an actual product that you can buy. The team is working on refining and advancing the technology, and as such they’ve taken to Kickstarter to get the public involved in their work. 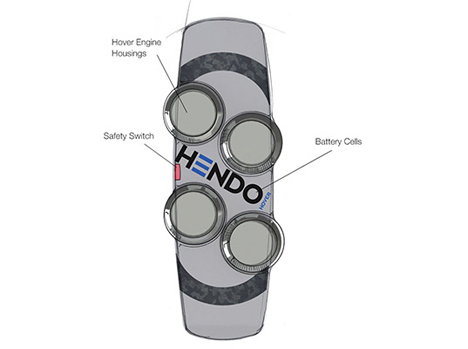 For $10,000 early supporters were offered the chance to buy the first 10 Hendo Hoverboards ever produced, but as of publication time they’re already gone. You can still buy scale replicas to display on your desk or little hovering cubes to play with the hovering technology. The project has shredded its funding goal, and we’re looking forward to seeing just how far the Hendersons can take their seriously exciting idea. See more in Concept Vehicles or under Transportation. November, 2014.